Ever sit down to write a new blog post, inspired and enthused, ideas swimming around your head? You open your writing app of choice, start typing a catchy and engaging introduction and suddenly, your mind goes blank. You’re fresh out of blog post ideas. In fact, it happens to me so often that I’ve had to put safeguards in place to stop it from happening. 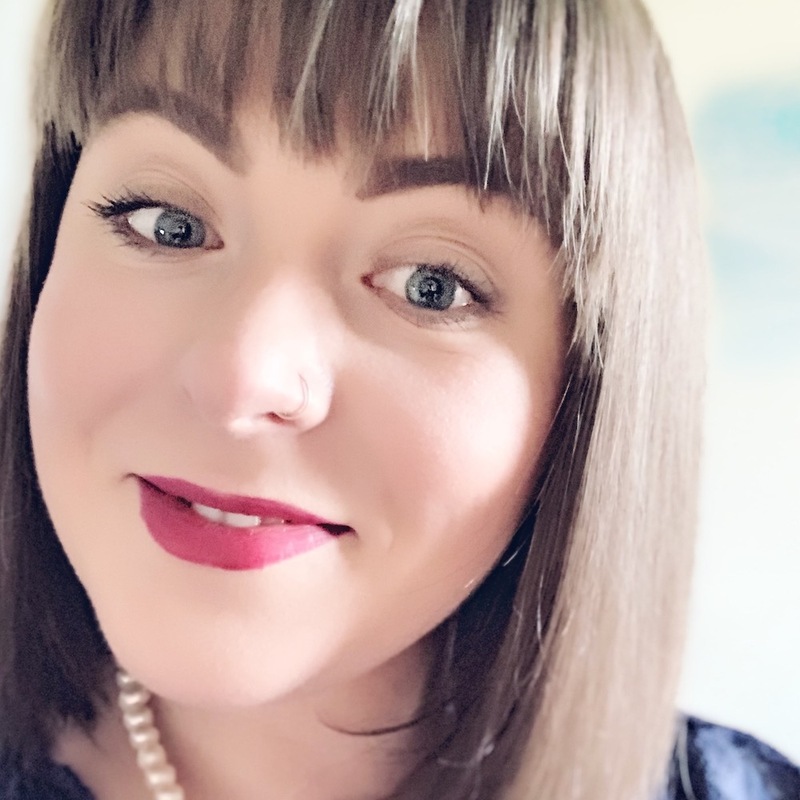 So, what can we do on days where the creative juices aren’t really flowing and the blog post ideas just aren’t in our heads? I have a few suggestions! Here are a few of my favourite ways to generate blog post ideas when I’m having a bit of an off day. You’re given a new perspective on the types of problems your followers are having. It’s so important to write down ideas as soon as you have them. I guarantee that if you don’t, then as soon as you sit down to write your mind will go entirely blank. Mine sure does. I keep all of my blog post ideas in Trello – no matter how fresh or silly an idea is it I always add it to my Trello board. There’s a phone app, so even when I’m on the go I can jot down my ideas and stay organised. I always plan my blog posts for the month in advance. When I sit down to organise the upcoming month I have all my ideas at hand. Then I simply add them to my schedule, ready to be written and published! Twitter and Facebook are full of people in your niche asking questions you know the answer to. The answers to those questions are the perfect foundation for entire blog posts if you just look hard enough! Facebook groups, especially, are a great place to check what people in your niche are trying to figure out. Sometimes, as an expert in your niche, it can be hard to see what problems those with less experience – your audience – might be having. Find out what people are asking for help with and you’ll have a much clearer idea about what problems you can help solve. 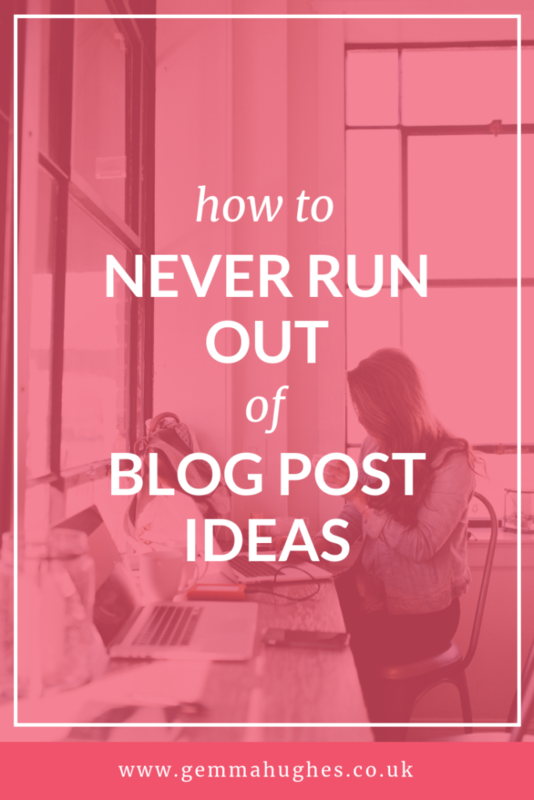 When all else fails, check back through your own content for some blog post ideas. Read over any of your old blog posts and you’ll be able to find words and phrases that could very easily be expanded into new content or blog posts. It’s a great way to expand further on topics that you’ve already been writing about. This is actually a great way to make sure your content gets filled with internal links, which is helpful to both your audience, if they need further clarity on a topic and also to the growth of your blog. Blog post ideas born this way keep things well-rounded and on topic! 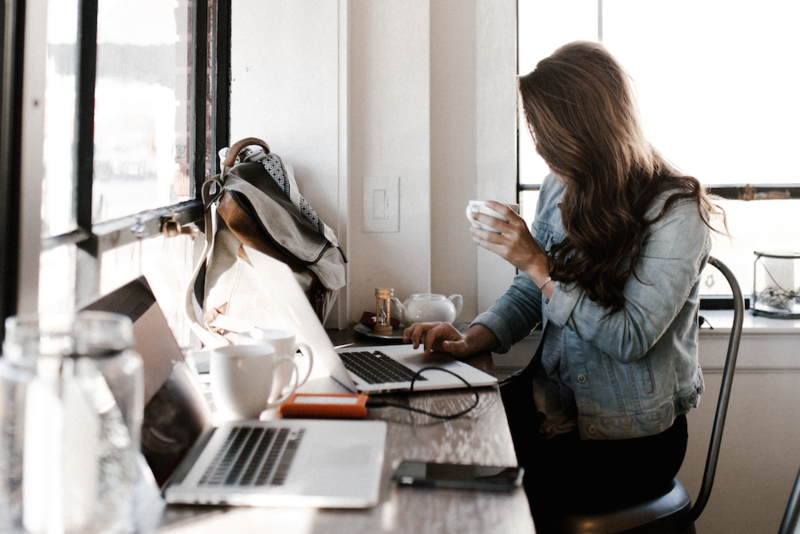 If you’re still in the early stages of your blog, you may still be settling on a niche – that’s okay. 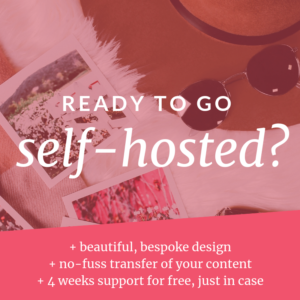 But whether you’re new to blogging or have been writing for months, even years… if you’re struggling to come up with new or exciting blog post ideas then perhaps it’s time to try something new. Take a step back and think – are you really still passionate about what you’re trying to write? If not, it’s okay to start blogging about something you can find a passion for. There you have it, these are the five techniques I use to keep my blog filled with new and fresh content for my readers. How do you come up with new blog post ideas? I’d love to know, let me know in the comments below! My mind is generally almost always blank when I sit down to write so I think of ideas throughout the day ! 💕 great post and ideas!! Thank you so much for sharing ! !